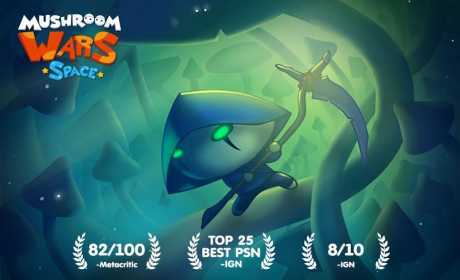 One of the best games for PlayStation® Network (IGN.com) returns on mobile. Meet Mushroom Wars: Space! – an adventure you have been waiting for! In this epic adventure you will lead the Mushroom people in an exciting travel around other planets. Hours of head-spinning fun guaranteed! THE STORY CONTINUES: The brave Mushroom people will travel through the brand-new maps in over fifty new missions of the single player campaign. Meet extraterrestrial civilizations, cutting edge technology and new game mechanics! It will take your breath away! ONLINE MULTIPLAYER comes back improved! Engage your friends or other creatures across the universe in dynamic fights for 2-4 players. Use your new PvP abilities, participate in tournaments, get promoted in Leagues and take part in special events. BETTER THAN EVER! Mushroom Wars: Space! 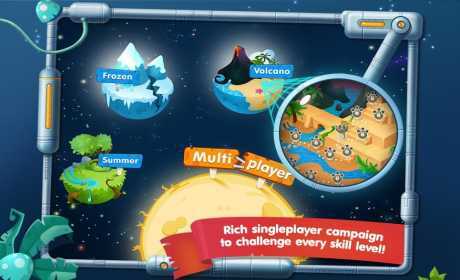 has maintained all the features of the original game that made it popular with millions of players around the world. If you have played the first part, you will enjoy this game twice as much! And if you are new to Mushroom Wars it is the best time to make a trip to space. 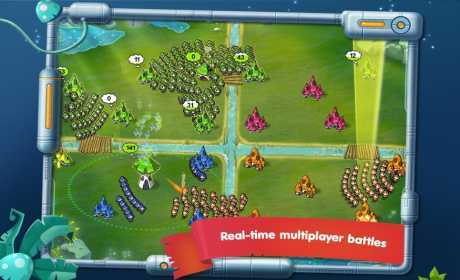 Download Mushroom Wars: Space! right now. Because millions of gamers around the world cannot be wrong!